Did our last regular season hunt yesterday. It was 25 degrees when we left home at 7:30, 11 when we started hunting at 10:30, and 4 when we finished! Wind blew at 20-30 NW all day. But enough griping, what a day! 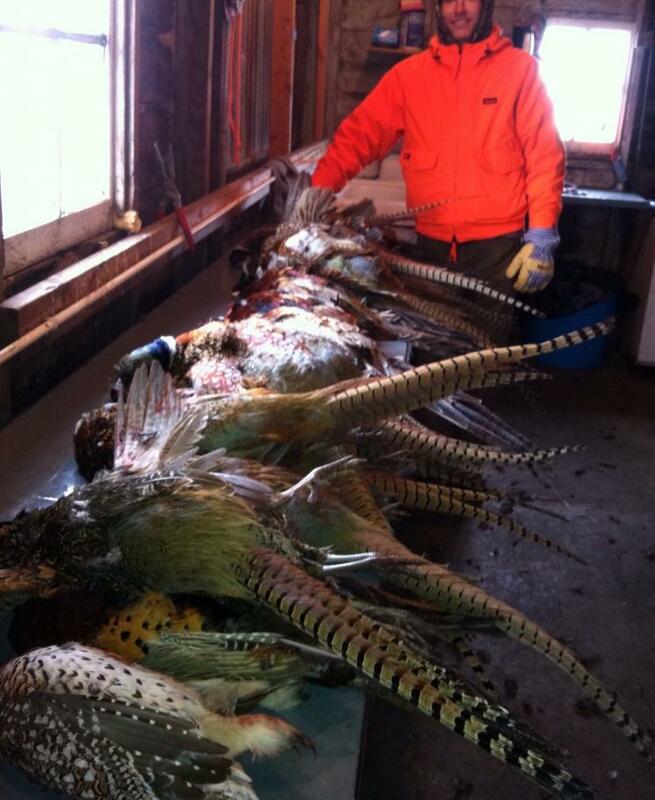 Eight of us filled our limit of 24 and shot 1 grouse as well. Some of the most challenging shooting of the year. All the birds I shot were fast, high flyers. 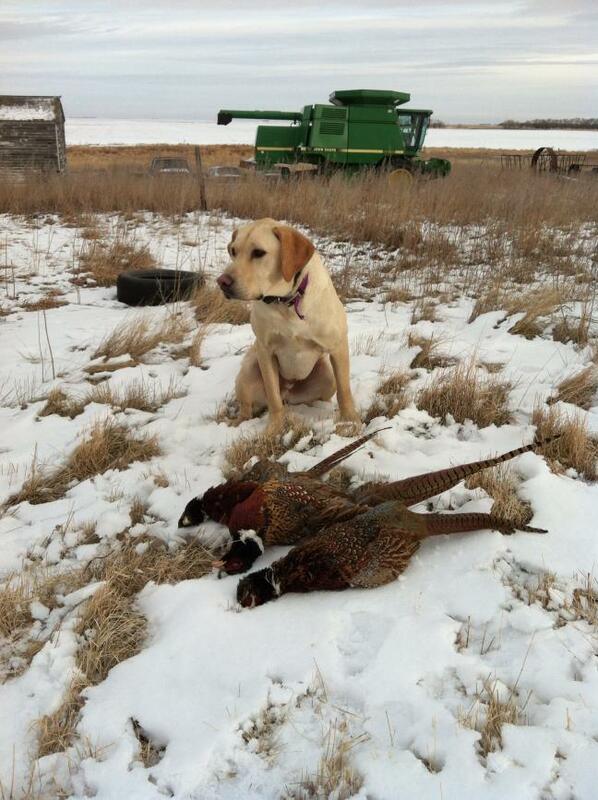 We had most our luck in standing corn, so we lost some as dogs couldn't see birds fall. Birds were quite skittish so nobody had any classic 'slam dunk' shots. Not to mention how bundled up you were due to cold! Glen had another excellent day! He made 2 nice retrieves, found a bird I shot in corn that I would have never found, and stayed close all day. So happy with how he hunts in corn. Many times I know he can see the birds running ahead and doesn't panic and take off. Ran into his first **** yesterday and just left alone when I called him. Hopefully will do a couple preserve shoots this winter. -12 now, so football in the man cave! Dang! You guys went out with a serious bang. Great job and I hate whoever scored that grouse. That's a bird I've never shot. With a day like that you can't complain about the weather! Congrats on a great hunt. Nice last day to say the least, I never even made it out pheasant hunting this year, glad the hound is liking his job:applause:.